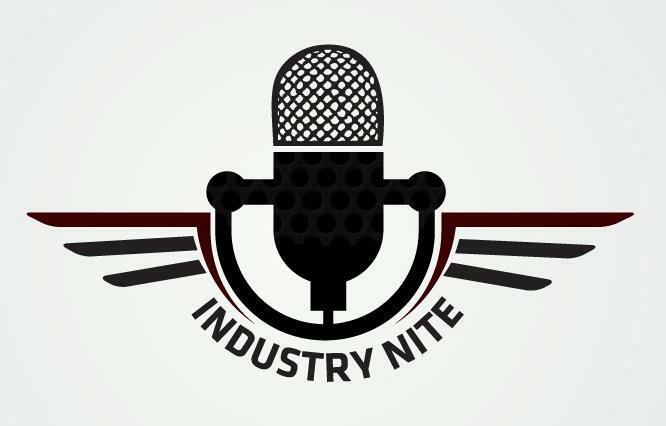 INDUSTRY NITE TO HOLD AN EXCLUSIVE MUSICAL AUDITION FOR 'UP AND COMING' ARTISTES, MAY 29. 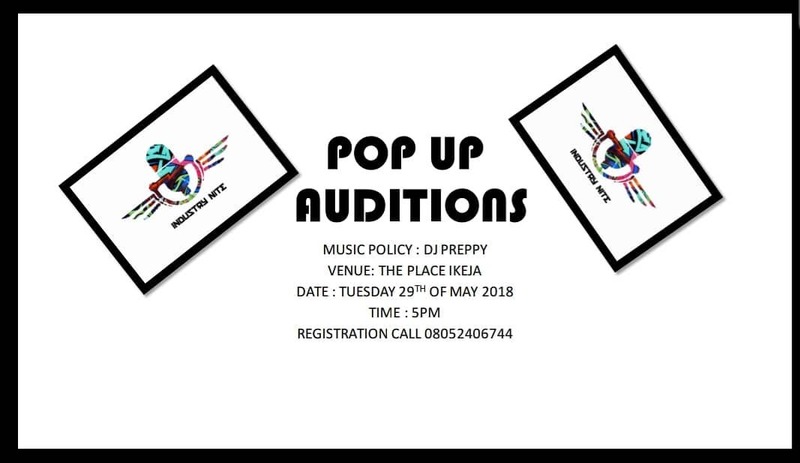 Producer of the most renowned live-stage musical platform in Nigeria, El'Carnaval Africa CEO and International Show Promoter Mr Matthew Ohio, have disclosed that 'Industry Nite will be hosting a musical audition tagged "Pop Up Audition" on May 29, also Democracy Day at ThePlace, Isaac John Street, Ikeja Lagos'. 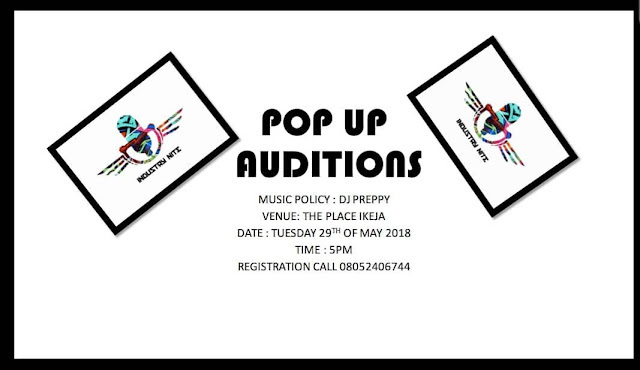 The audition is expected to showcase 'up and coming artistes' interested in the platform. To take part however, interested artistes are expected to register through a hotline and registration is already open till day of audition. 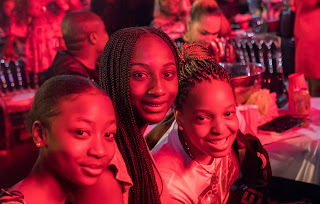 This opportunity will however see participants with key talent and skills get featured on Industry Nite live stage as well as across all social media platforms which SoundCity Africa is a part of. 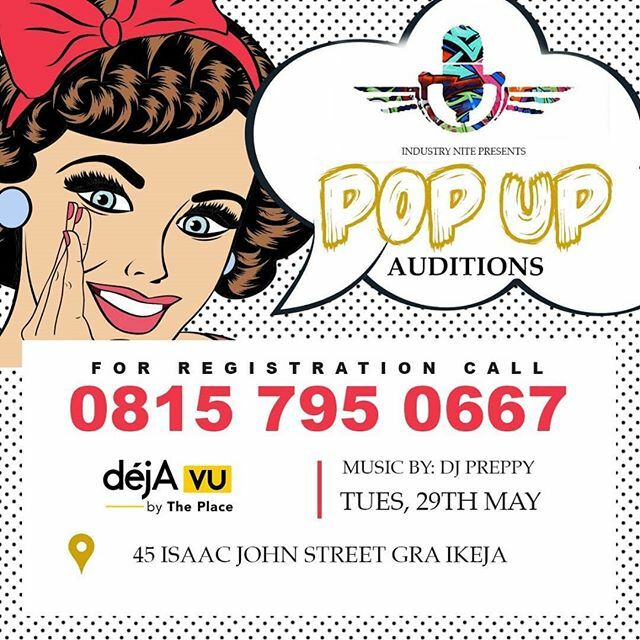 Location - DeJa Vu, near ThePlace, 45 Isaac John Street, Ikeja. Also, there will a grand prize for emerged winner which will include a year record deal and performance at all Industry Nite events throughout time of contract. This is however in line with the brand's year project in celebration of a successful decade so far in the music industry (#industryniteat10) in a way to give back to the community for their commitment and immensed support for the brand and also to use the medium to empower more youths in the area of musical talent exhibitions and promotions.